A critical part of most property investments is finance, more specifically mortgage finance. Whether it's essential to afford your investment or you're using it to amplify/gear your returns, there's a good chance you're using a mortgage. Hence keeping track of your investment mortgages is an important part of managing your portfolio. PaTMa includes the ability to record all of your mortgages and property values. Automatic reminders before fixed rates end - save hundreds of pounds with plenty of time to arrange a new deal. View your current debt/equity ratio and totals at any time. Instant visibility via great looking graphs for your whole portfolio. Instantly see the current status, using your current mortgage balance and latest valuation, of your portfolio wide borrowing. 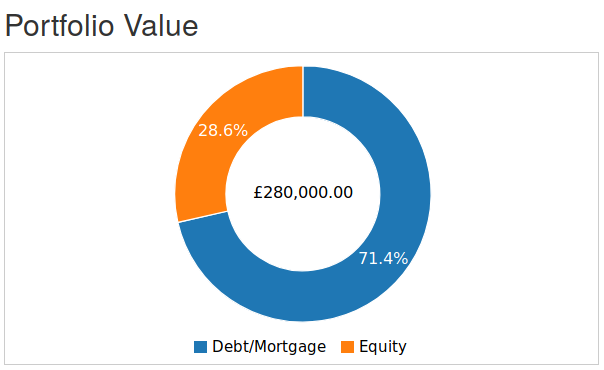 Above is a sample of one of the graphs you'll see in your dashboard once you've started adding valuation and mortgage data to your properties. In your dashboard you can hover over either segment to see the monetary value of your borrowing or equity. Every property in PaTMa has a space to store current mortgages or other loans you've taken out against it. Simply set the "fixed rate end date" and PaTMa will automatically email you three months before it's due to expire. 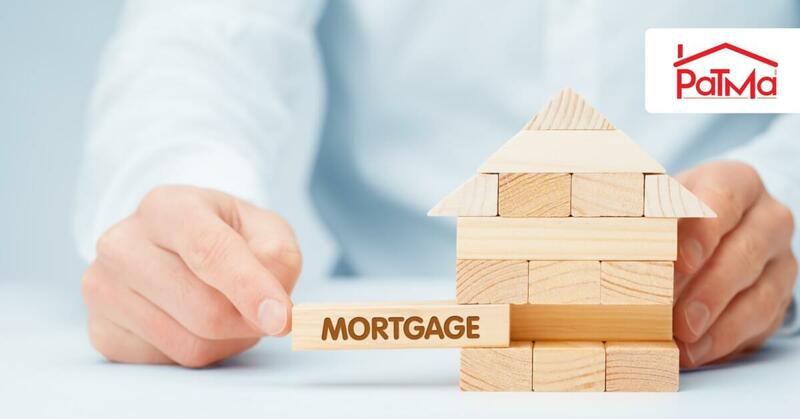 You'll have plenty of time to evaluate the impact of the mortgage reverting to a standard rate (we've got some exciting tools coming out soon to help with that). If you decide to find a new deal, you'll still be in time to get in touch with your mortgage broker. You can store as many valuations as you like against each property. So you can keep it updated as things change or go back and fill in your property's history. Either way you'll be able to easily see how your investment value has changed. You can also see a visual representation of how each property and your entire portfolio has performed over time. Great for spotting trends and getting an idea of where the future may be heading! PaTMa is full of great features to save you time and money when managing your property investment portfolio. For a limited time, get a lifetime 10% discount on any PaTMa subscription if you sign-up before the end of June 2018 and use the discount code SPRING2018.